Discover a beautiful and affordable way to enhance your home's interior with our line of Tribute paint colors. 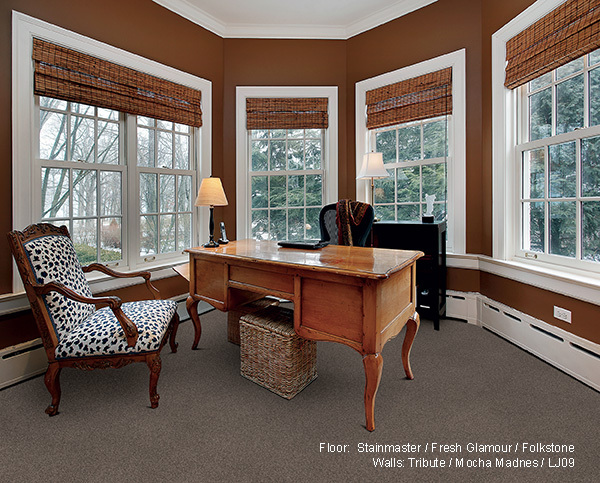 With hundreds of colors in multiple sheens, adding fresh color AND new flooring will truly transform your room. 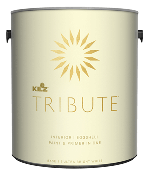 Tribute interior paint is the most technologically advanced acrylic product to date, offering the best of coverage and stain resistance in one convenient package. Visit our showroom to browse paint colors and match your hand-picked floor with your hand-picked colors. Contact us before your visit and tell us about your project - complete the form on this page. We can have the latest flooring styles paired with the hottest colors of the year...ready and waiting for your visit. 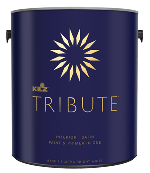 When you purchase Tribute interior paint, you receive more than just flawless coverage and exceptional quality. You receive the latest in color fashion combined with industry leading stain blocking and color retention technologies. Plus, when it comes to your flooring purchase, don't forget about our Lifetime Limited Warranty. This exclusive flooring warranty comes with all of the following benefits for the flooring that is used for your project.